‘Wear a good bra’, she said seriously. ‘It’s the hév’, I thought, ‘how bad can it be?’ One hour and fifteen minutes later, I was glad that I’d taken her advice. What a workout – there wasn’t a bone or a muscle in my body that hadn’t be shaken, rattled, or rolled on the journey from Budapest to Ráckeve. The passenger list at 8.35 am on a Saturday morning was an interesting one – many were on their way back out of the city after an early morning visit to one of Budapest’s main markets. Others were drinking beer – on their way home from a Friday night on the town. Once again I marvelled at the Hungarian resilience. I was barely awake and looking forward to getting out of the city for the day. Ráckeve sits on the lower end of Csepel Island (one three islands that fall within the city limits: the other two being Margaret Island and Obuda Island). It was once a major commuter town. The first mention of the settlement dates to 1212 but it wasn’t until the fifteenth century when many Serbs fleeing from the Ottoman invasion moved in that its name took root. 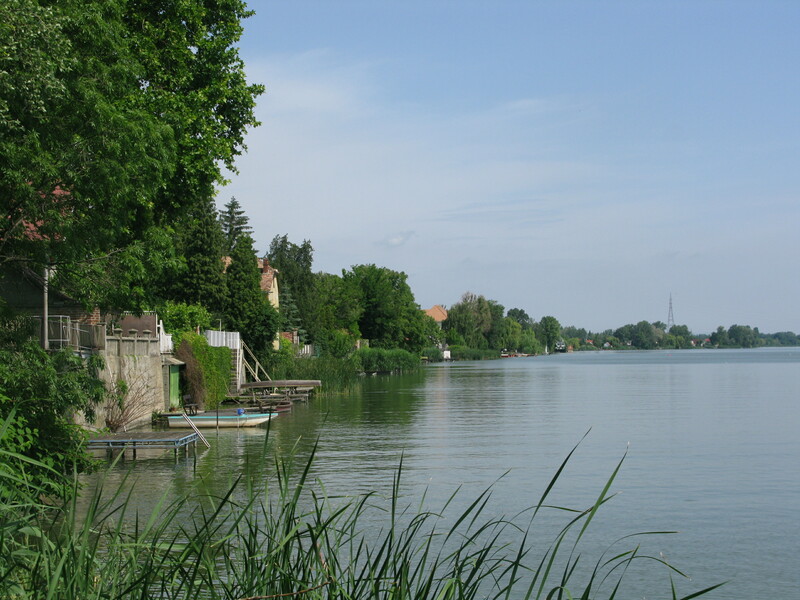 The refugees had come from Keve (Kovin) – and so the town was named in Hungarian as Kiskeve (or little Keve). The Serbs called it Mali Kovin or lesser Kovin. The current name, Ráckeve, comes from the Hungarian term for Serb – Rác. Mind you, there are those who say that keve means ‘cemetery’ or ‘pebble on a grave’ but that would then give it the rather sombre ‘Serbian Cemetery’. Calvinism came to call in the sixteenth century and one of the towns three old churches is a very impressive Calivinist building. Hot on their heels came the Ottomans, driving the Serbs on to Győr and Komárom. In the late seventeenth century, once the Turks were seen to, Prince Eugene of Savoy set up shop. His stately home is now a three-star hotel complete with wine cellar and wedding garden. In the 18th century, German settlers arrived and the three ethnicites lived together in relatively harmony. It wasn’t until the twentieth century that the original wooden bridge was replaced. 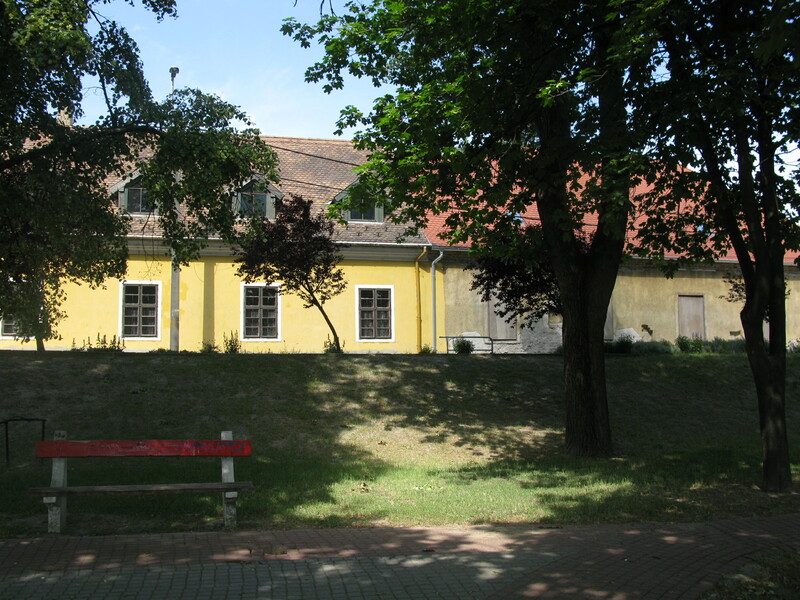 Today, in June each year, Ráckeve takes part in the Summerfest along with the towns of Százhalombatta and Tököl. The festival’s motto is a lovely tale of bridges. ‘You have got a nice occupation’ said the little child to the old bridge builder. ‘What other bridges?’ asked the little child. The Ráckeve hév sounds like the Esztergom line used to be . . . A charming little story in the Summerfest motto, but the translator hasn’t helped it. I was very surprised to read this lovely piece, and not just because it meant you had to cross part of the Danube to get to Ráckeve. It took me back 22 years to my first visit to Hungary as Ráckeve was our first port of call. After a long car journey across Europe we had to search for our nearby holiday cottage and then for the key holders. They were at a wedding at Prince Eugene of Savoy’s pad. What a welcoming experience, our first Hungarian wedding and palinka. Not a word of English on their side nor Hungarian on our side. We scrambled by with smiles, broken German, two sets of dictionaries and a lot of lubrication. I suppose that is why I kept coming back.